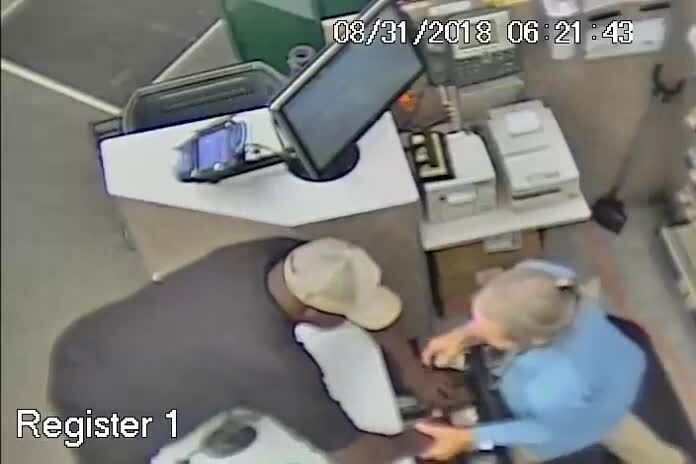 PLANT CITY, Fla. — The Plant City Police Department is asking for the public's help in identifying a man accused of robbing multiple Walgreens locations throughout the Tampa Bay area. 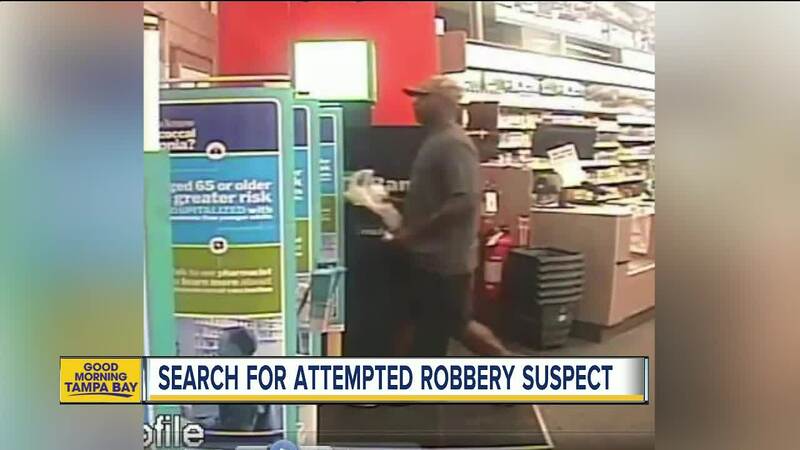 Detectives said the suspect, an unknown black male, robbed the Walgreens at 2102 Baker Street West in Plant City on August 31. In surveillance video, the suspect can be seen handing the clerk a bottle of water and $1 bill, as though he is making a purchase. As soon as the clerk opens the drawer, he reaches over the counter, struggles with the clerk and then leaves with some cash in hand. After running out of the store, the suspect entered a small 2-door dark-colored vehicle that was parked across the street, according to detectives. 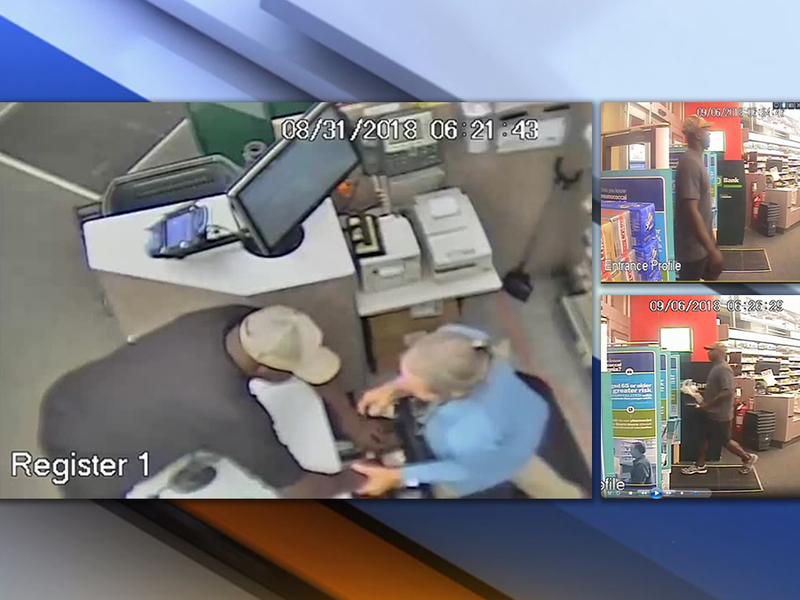 Detectives said the suspect did the same thing at another Walgreens on September 6 and is linked to other similar type of robberies at a Walgreens in Temple Terrace on September 1. They believe he may also be responsible for three cases in the Orlando area in the last two weeks. Crime Stoppers of Tampa Bay is offering a reward of up to $3,000 for information that leads to the identification and arrest of the unknown suspect involved in these cases. Anyone with any information regarding the identity of the suspect and who wants to be eligible for a cash reward is asked to call Crime Stoppers at 1-800-873-TIPS (8477), report anonymously online or send a mobile tip using the P3 Tips Mobile application. Crime Stoppers must be contacted first in order to be eligible for a cash reward.